The Cottontails Grand Harvest Sale! 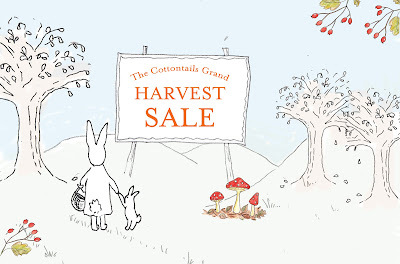 Launching today - The Cottontails Grand Harvest Sale, as I clear a bit of space ahead of festive arrivals next week. The perfect opportunity to gather in (harvest - get it!) a few bits and bobs of Maileg and Moulin Roty at lovely prices.... Happy Harvest Shopping!